MADISON, Wis. — Wisconsin wildlife officials are getting ready to set harvest limits for the 2019 elk hunt. 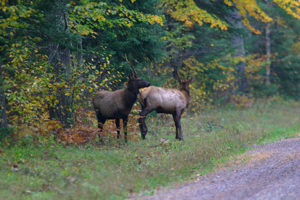 Current regulations allow an elk season if herds in the Clam Lake and Black River regions reach 200 and 150 animals respectively. The harvest quota is equal to 5 percent of the population. The DNR projects the Clam Lake herd will stand at between 211-236 elk after spring calving. The Black River herd is projected at between 70 and 80. The agency is using 211 elk as the Clam Lake population number. That translates to a quota of 10 bulls, with five available to Chippewa tribal hunters. The DNR’s board is set to vote on the quota at a meeting April 10.